Few days back, We shared a guide how to download subtitles automatically on Media Player Classic, after that one of our reader contacted us and asked a question that is it possible to downloaded subtitles in the language of my preference automatically in VLC player. Yes, It is possible with the help of VLSub Addon for VLC player. VLC is the one of the most popular media player on the internet and most of the user are using the same to watch movies and listen music. It provides a lot of features to give the best video watching experience to all users. Apart from playing video and songs it has some other features too, which you can use on your desktop, you can also watch YouTube videos on VLC Media Player with this trick. 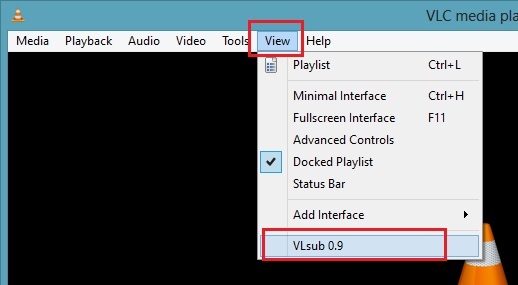 Today in this we will let you know how you can install the VLSub Addon on the VLC music player and automatically download the subtitle for the movie movie while watching the film. No need to search the subtitles for the movie and download on your desktop. Manually searching for subtitles using Google search is a very time consuming job and most of the time you can’t find the right subtitles for your movie. But with this addon you can easily find the right subtitles for your movie and without downloading the subtitles you can enjoy them on your media player. So let’s take a look how the addon works on the VLC media layer. Download the VLSub Addon on you desktop and also download the latest version of VLC media player to use this addon. You will find the download link at the end of this post. 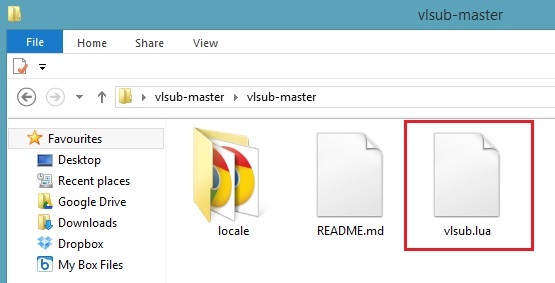 Now extract the VLSub Addon file on your desktop and you should find a “vlsub.lua” file in the folder. In the VLSUB window, Select the Subtitles Language in which you want to download the Subtitles on VLC media player and hit the “Search By Name” Button to automatically download the subtitles. Once you find the right subtitle for your movie, highlight it and click “Download selection” to add the subtitles on the VLC media player. Now the subtitle automatically load to your media layer and you will watch the movie with Subtitles. Next time when you are watching a movie on VLC media player, try this addon on your player to download the subtitles automatically for your movie. Over all this plugin is easy use and you don’t need to go on web to search for the subtitles. Back on July 11 I tried the subtitle download with Media Player Classic. It didn’t work. Win7 and my Linux Mint16 with VLC and the VLSub Addon. VLC shows the download gui, but again, it doesn’t start the download either. I know that you have nothing to do with the app itself, but maybe you might know why both Media Player Classic and VLSub won’t work. Any ideas?